Most people go to the garage to get in their car. It’s a transactional place in most homes—enter garage, get in car, leave. But in this Texas mansion, the garage is the destination—to watch a movie, relax at the bar, or polish your fleet of luxury cars. Listed for $6.45 million, this Italian-style mansion in Plano, TX, has everything: a movie theater, infinity pool, chef’s kitchen, and five-car garage. 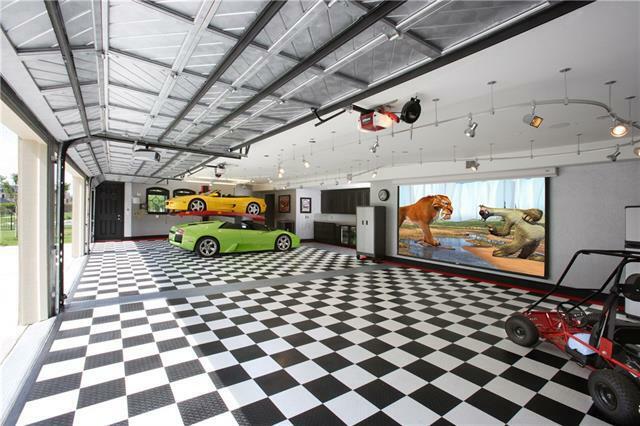 via This Texas-Size Garage Has to Be Seen to Be Believed.